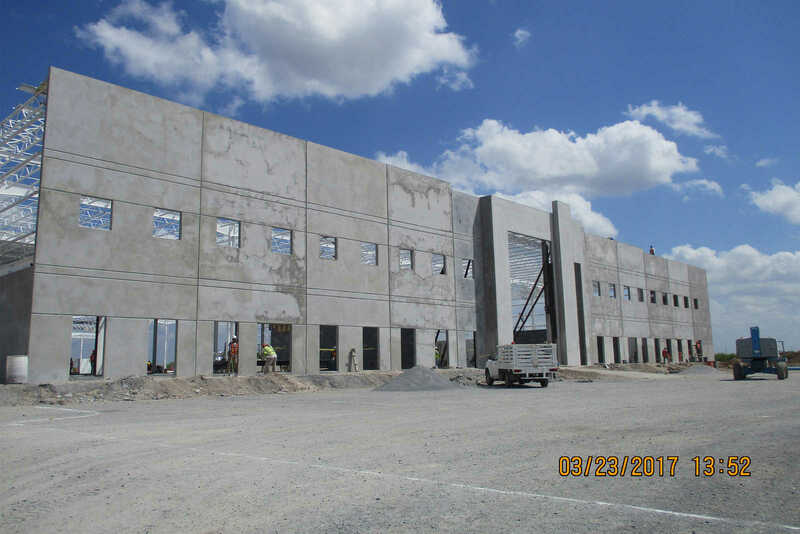 Project summary provided by submitting company. 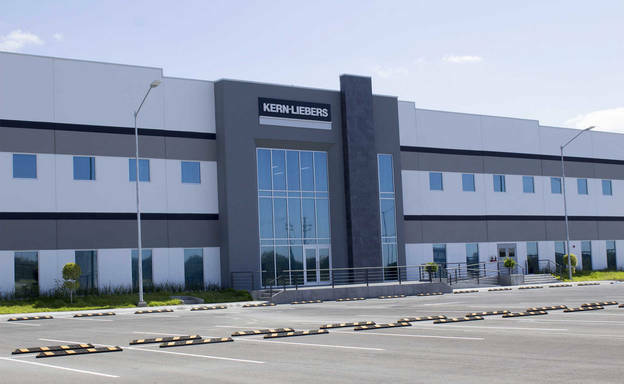 Kern Liebers is a German firm, leader in the worldwide market for springs manufacturing for several purposes in the industry. 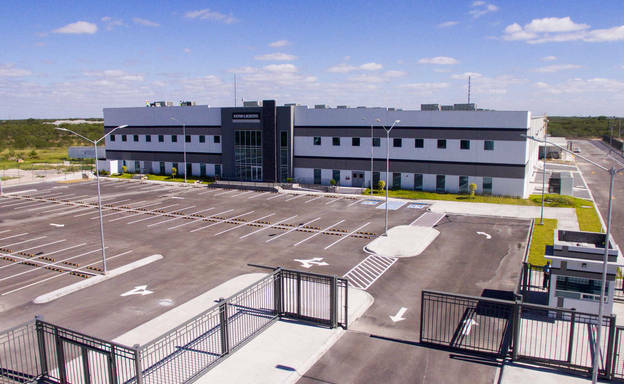 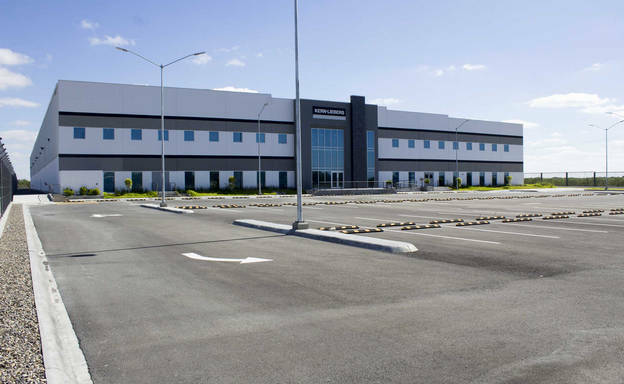 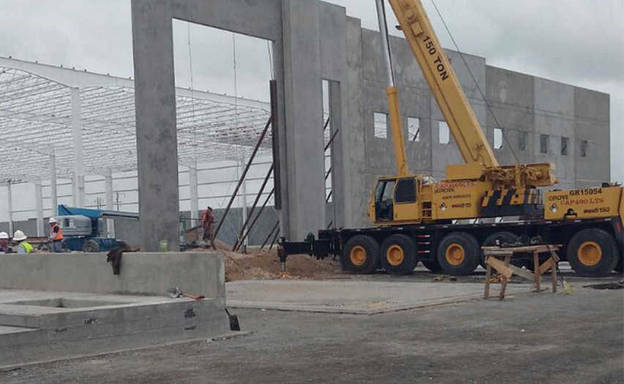 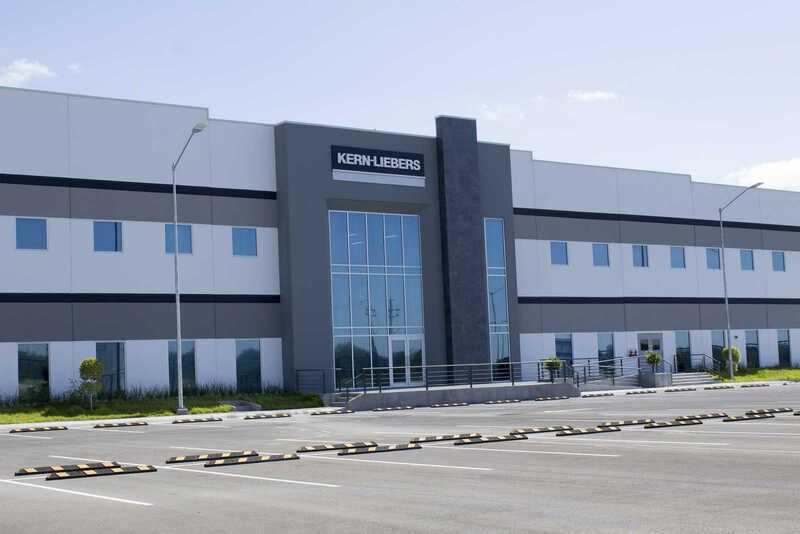 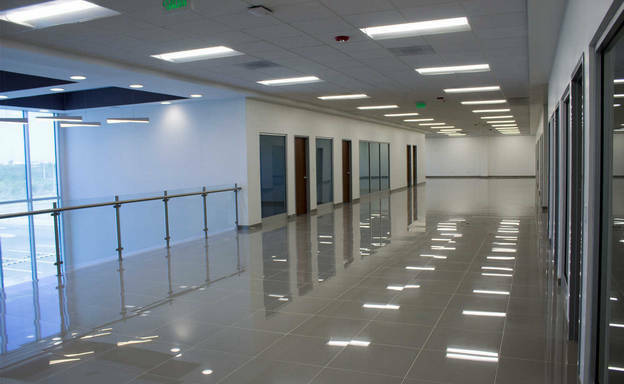 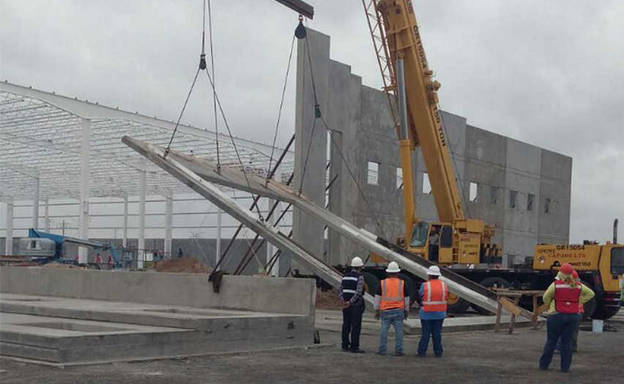 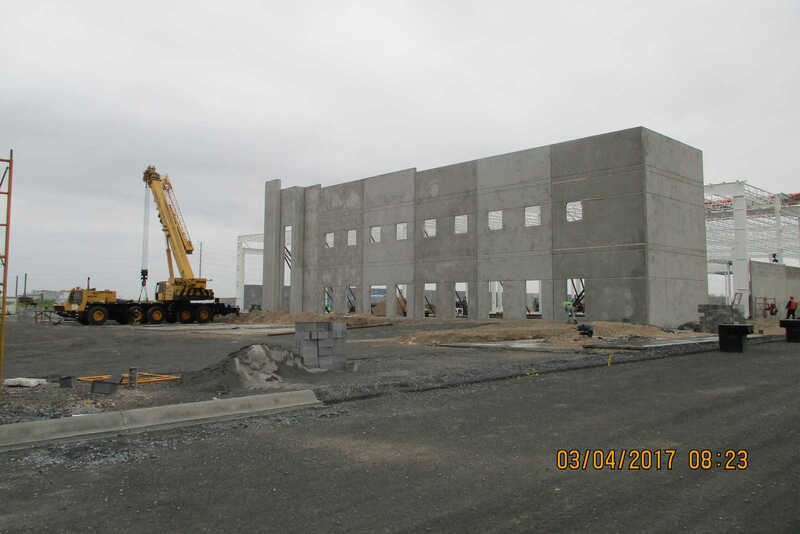 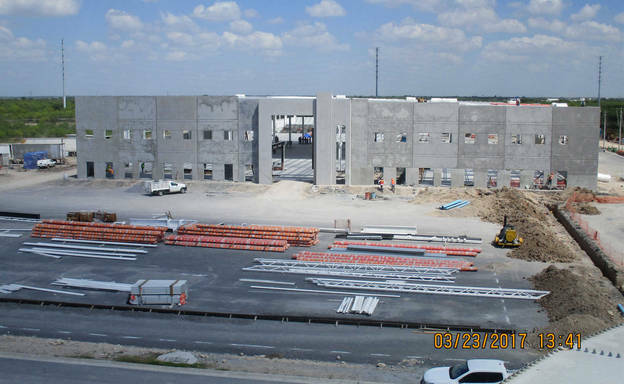 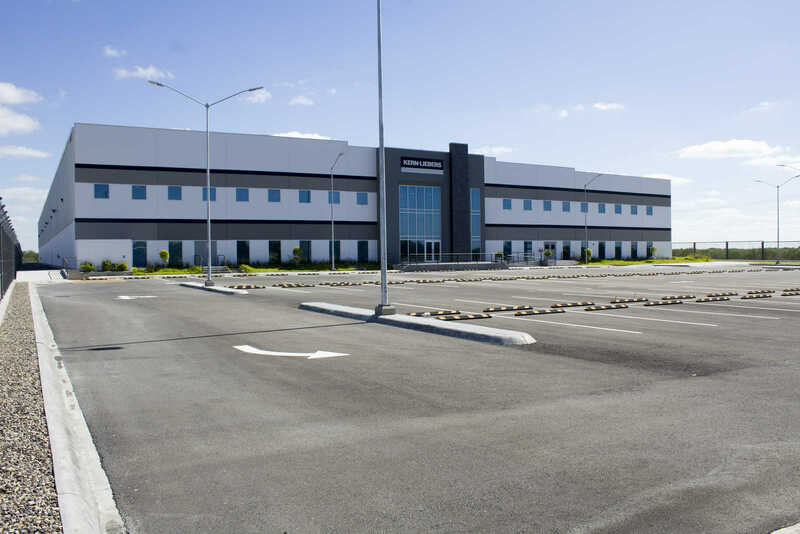 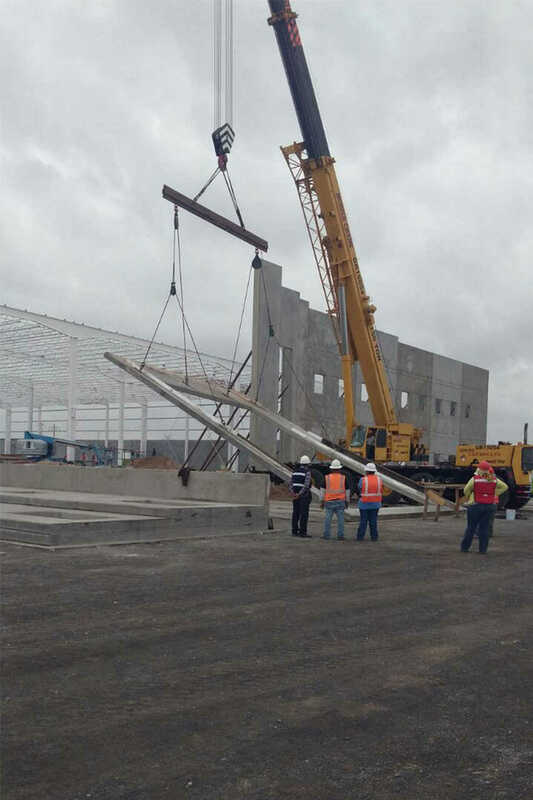 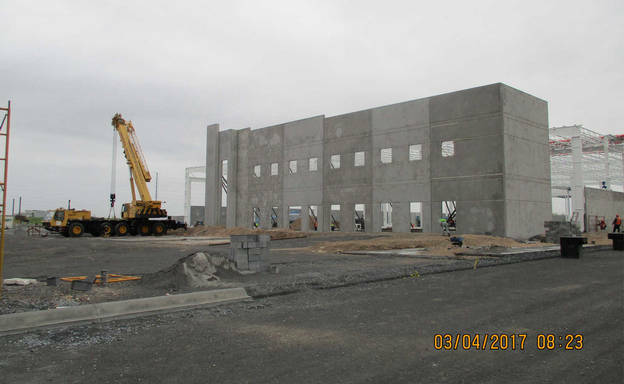 Kern Liebers relied on Finsa Ingenieria y construccion for the design and construction of an Industrial facility of 233' wide x 503' length for a total foot print area of 117,199 sq.ft. 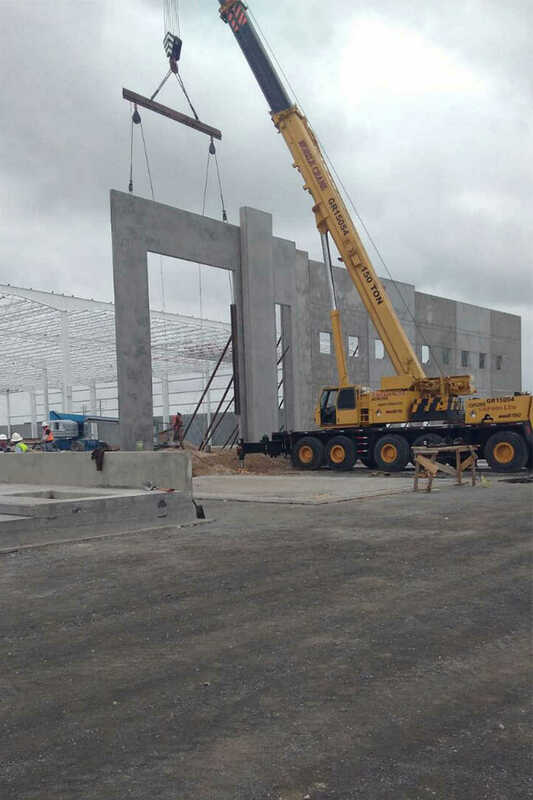 single slope, dock high type. 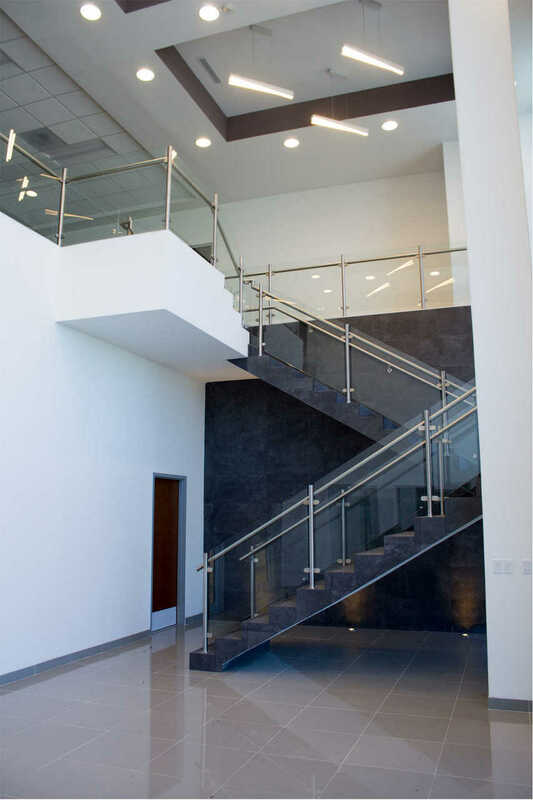 Two story offices with mezzanine for a total of 6,400 sq.ft. 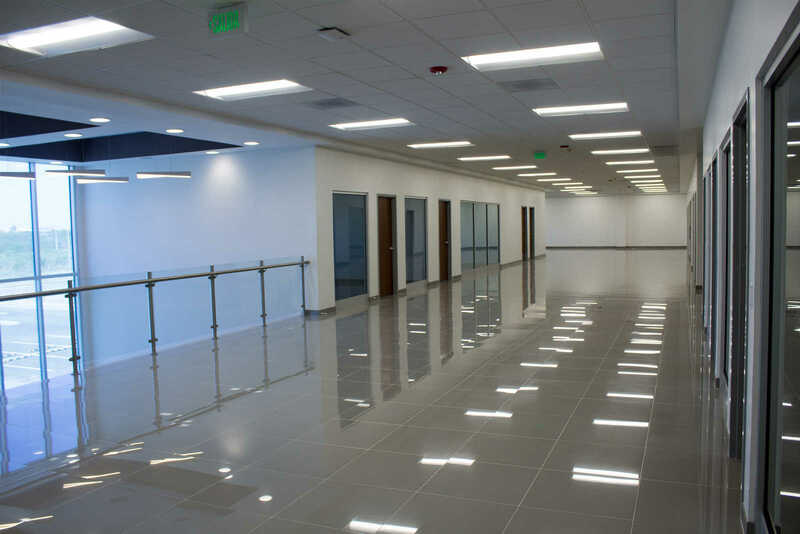 Offices at second story, cafeteria and production restrooms at firs floor, substation and compressor room outside, dock area and warehouse at the back of the property and parking lot area located at the front of the land, motion sensor system for interior lighting with an integrated BAS system that controls air conditioning and lighting system, skylights on the roof for energy savings. 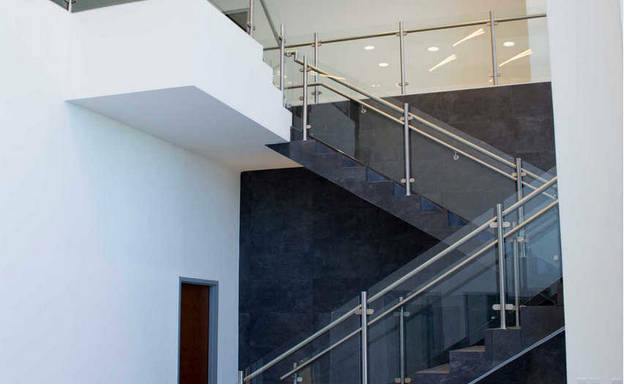 On the main facade solid Tilt up walls construction design was implemented, smooth finish with paint, 7.25" thickness, the architectural design implies "L" shape and tapered panels in the main entrance achieving a great combination of glass, concrete and natural stone. 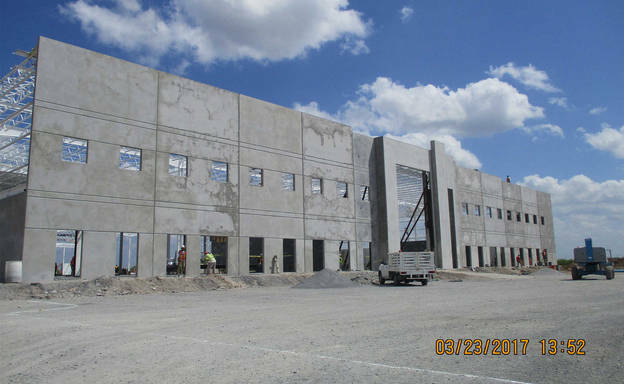 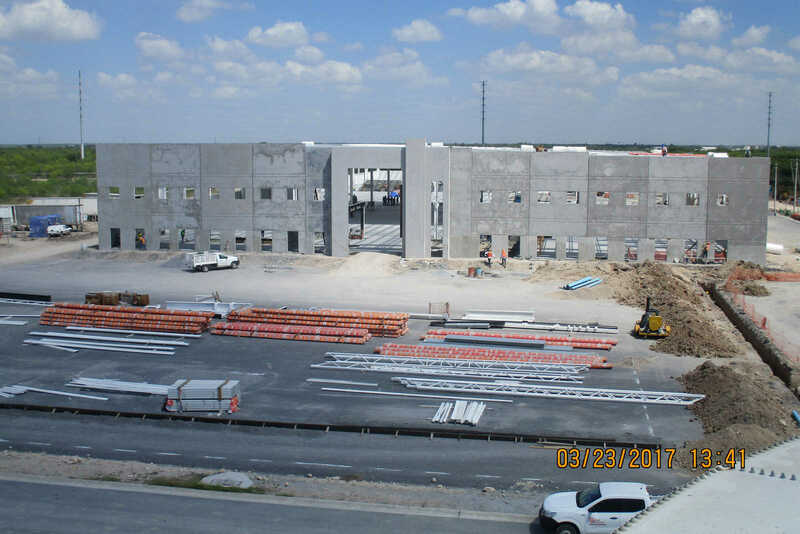 Horizontal tilt up wall panels and metal siding design was implemented on three sides of the building, the major challenge was the construction of 3 pits, 33 ft depth, with water table up to 15 ft, for a slitters production line.